amotIQ automotive is a member of the amotIQ Group, an association of five internationally operating companies. These companies are successful in the market with different products and services, each under their own brand. The advantage for you as a customer is: amotIQ automotive always has the fastest access to a specialist for your needs within its own group. And yet, the consulting firm has remained a compact, fast and flexible unit. It is equipped with all the advantages of a large company – without its disadvantages! The hands-on mentality of a medium-sized business makes amotIQ automotive a reliable partner who stands out in the competition. Our goal is to continue improving this position. In all areas of the company, your consulting experts concentrate on challenging and flexible solutions for the customer´s high expectations. The diversity of all the corporate cultures within the amotIQ Group is also their competitive advantage. The focus of its work lies on the realization of successful projects. 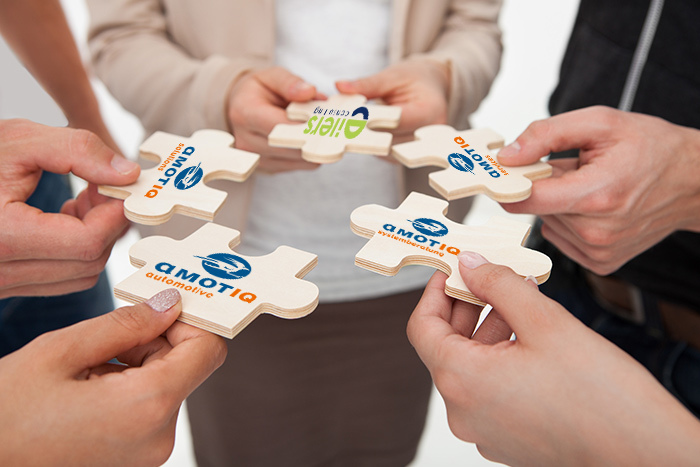 Through the constant exchange of experiences with each other, synergy effects are created which allow to create the possibiliy of continually improving products and services – this is for (to) the benefit of the satisfied amotIQ customers. The group’s origin is the automotive industry, where many logistics trends are still set worldwide. Today, the group is characterized by a wide range of processes in sales, logistics and SCM, both with reference to experience with various industries, as well as with reference to special know-how, as for example, production optimization, customer service or new technologies. All members of the group have this in common: They are powerful, experienced and highly motivated units when it comes to flexible short-notice decisions. The deft Roadrunner “Justin” in the logo stands for exactly that.